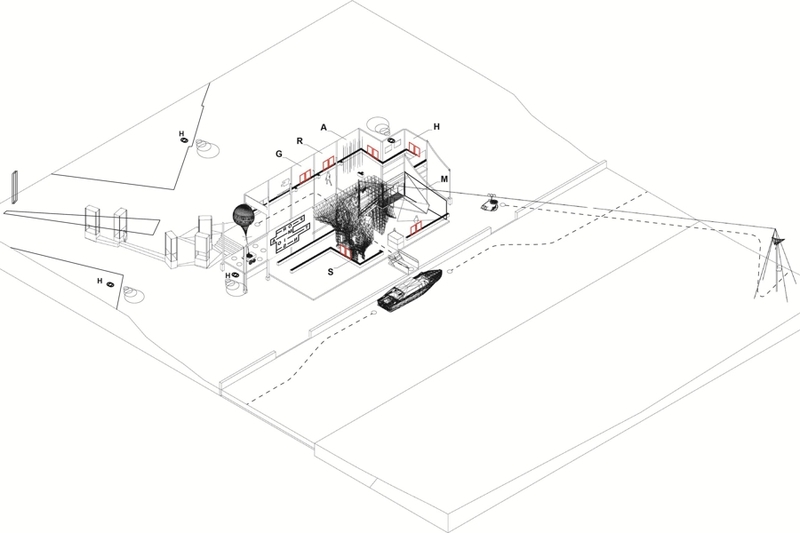 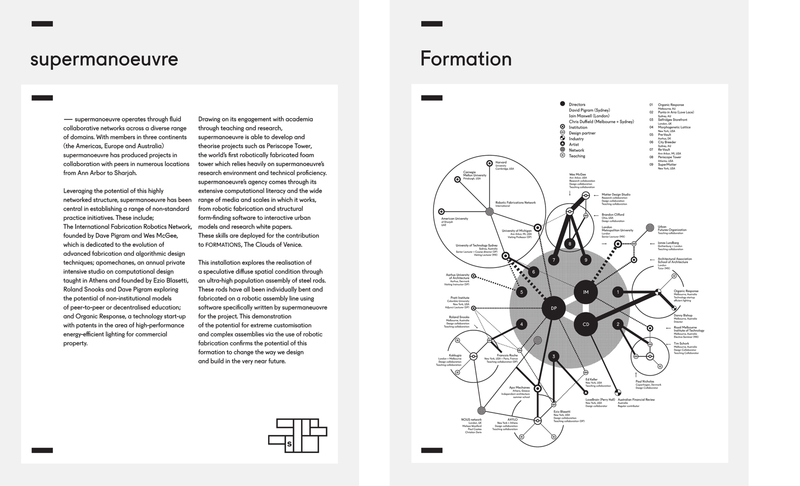 Gerard Reinmuth and Anthony Burke are Creative Directors and, along with TOKO form the Creative Team for the Australian Pavilion at the 2012 Venice Biennale of Architecture. 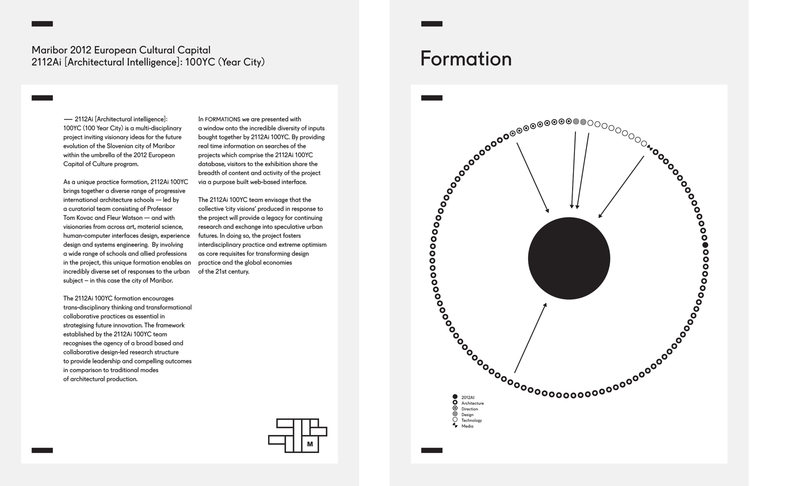 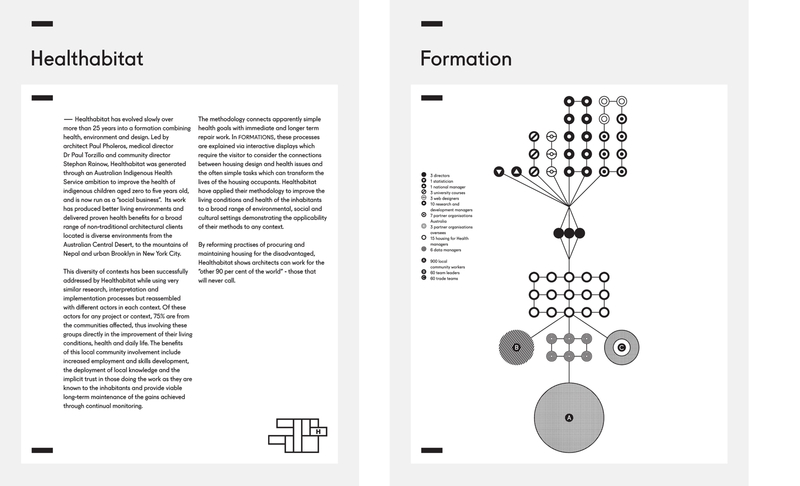 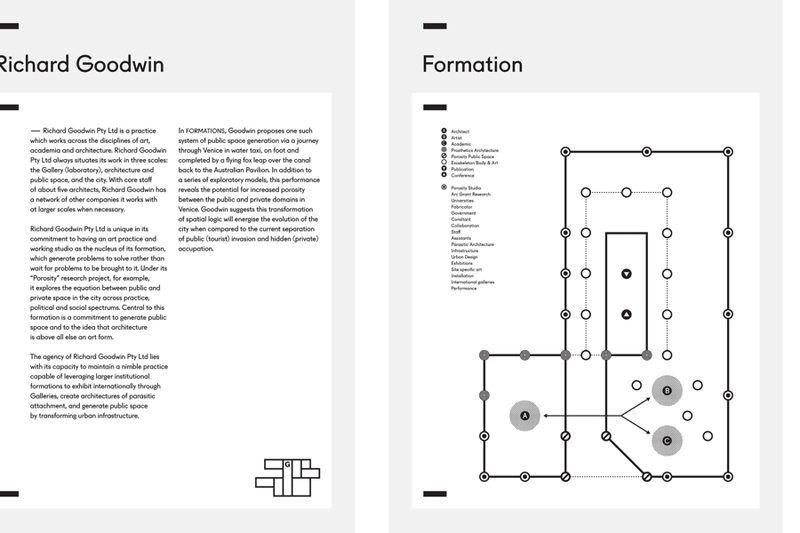 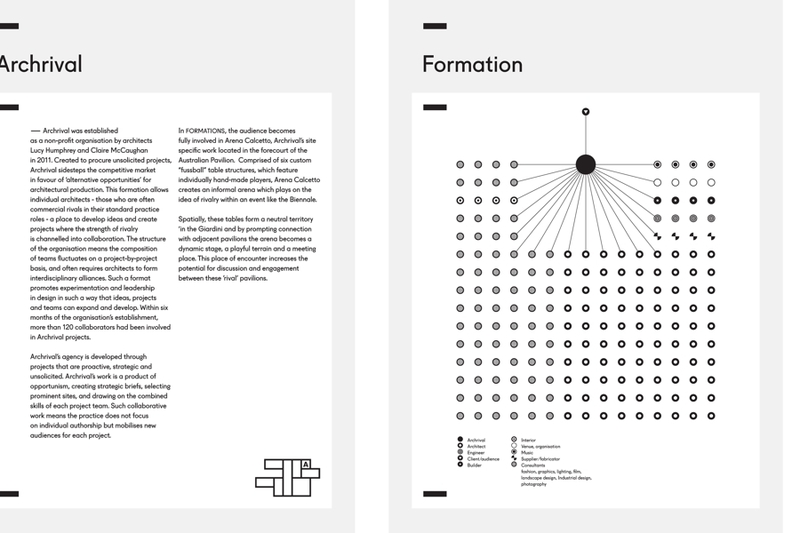 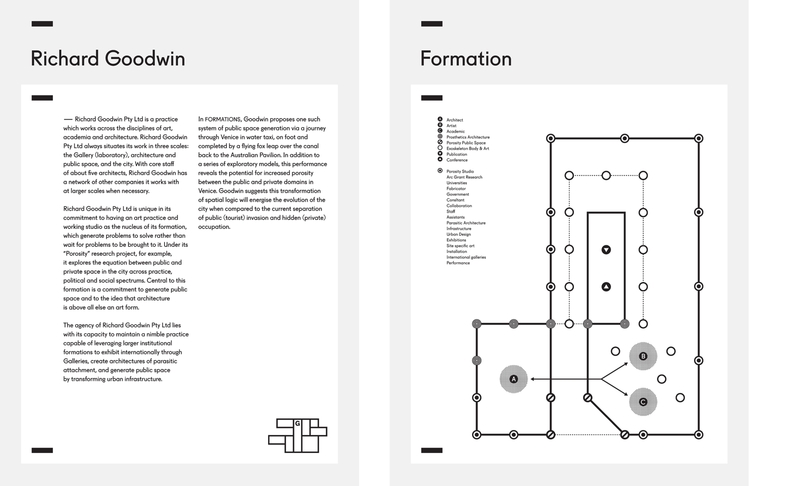 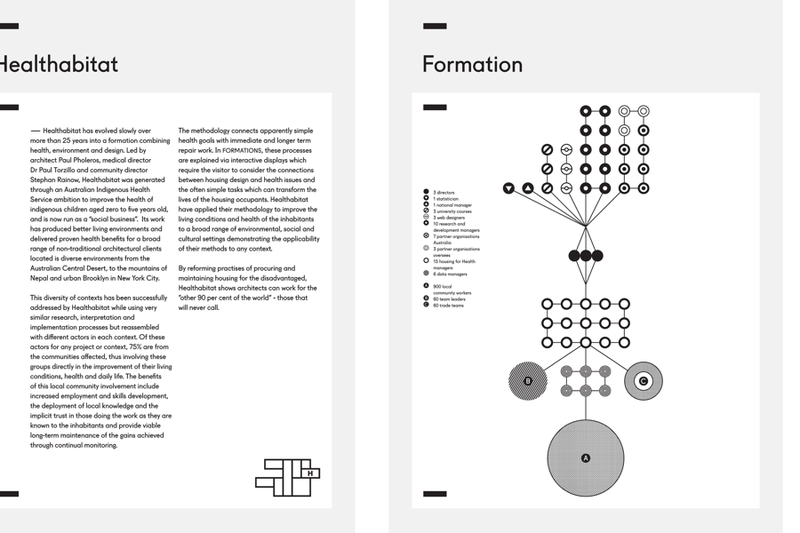 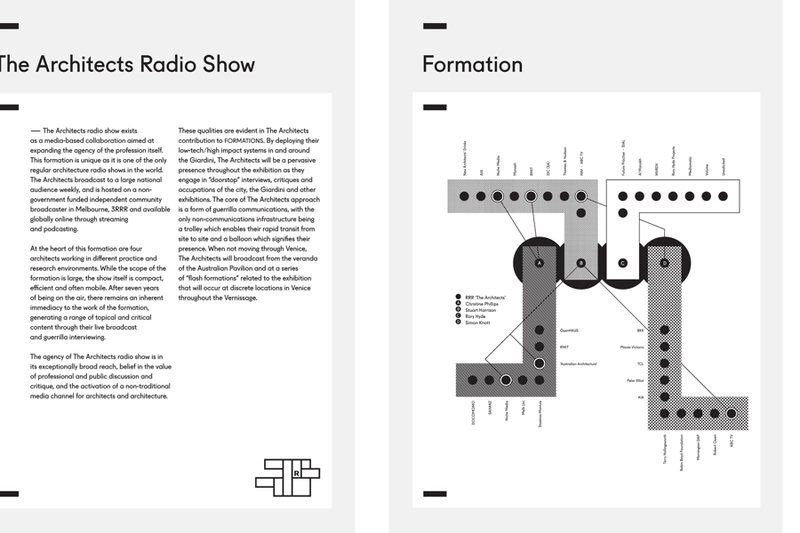 Formations challenges not only our current relationship to individual practices of architecture, but the structuring of our discipline through an understanding of the structuring of ‘us’ by the practice forms we employ. 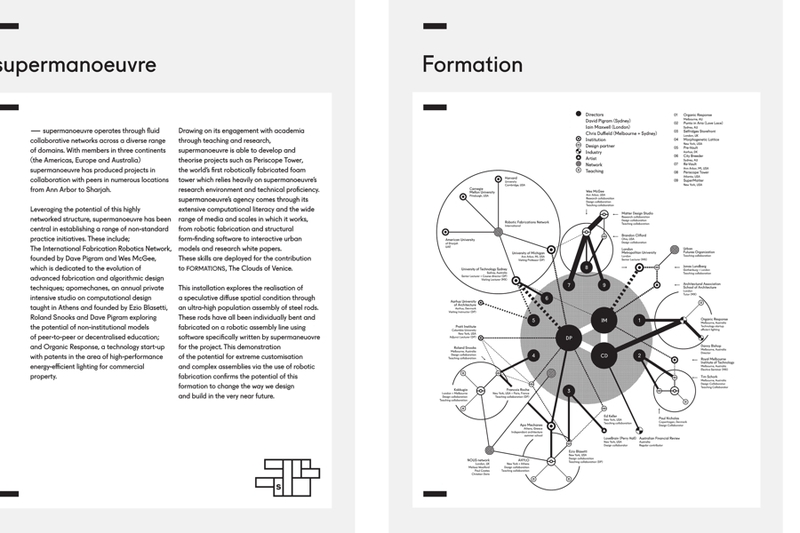 This allows us to grapple with questions of architectural practice that have been sidelined for too long, and which are essential to the future positioning of the discipline. 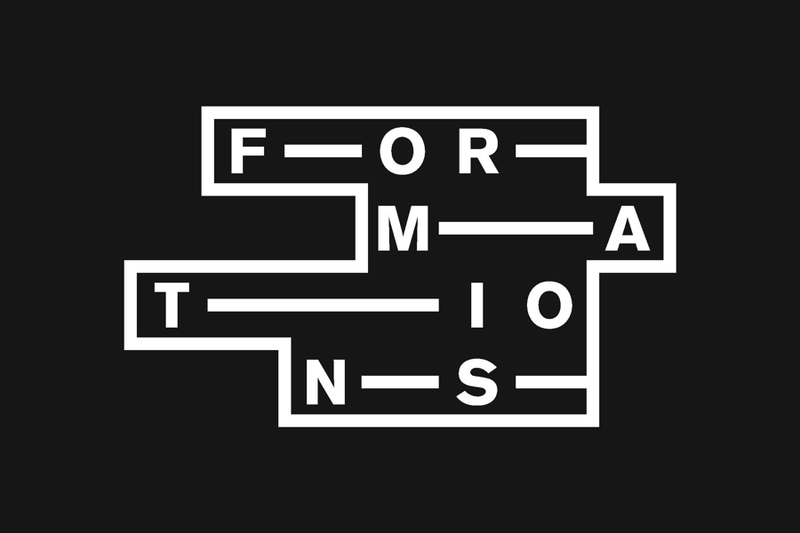 The Formations exhibition presents six innovative architectural groups, which are exploring new domains of work, as diverse as robotic fabrication, humanitarian causes, specialist technology and education networks, and media. 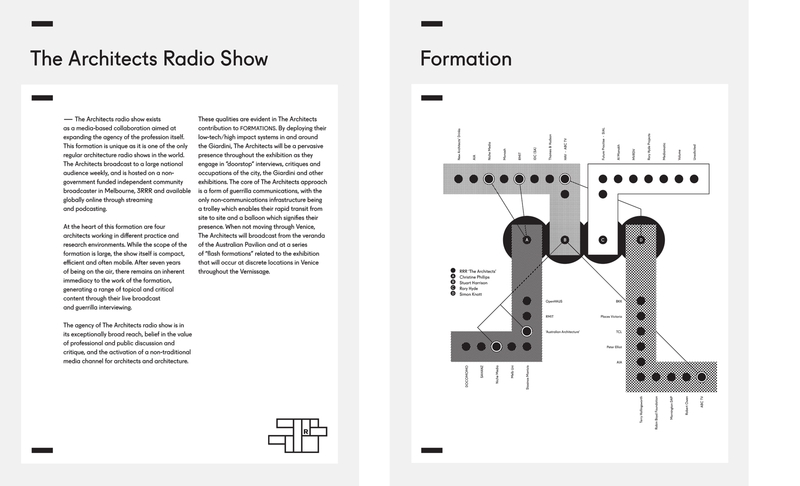 The exhibition focuses on how these unconventional practices are formed and work, expressed through interactive digital displays, structural installations, film, live radio broadcast and a series of events beyond the Pavilion. 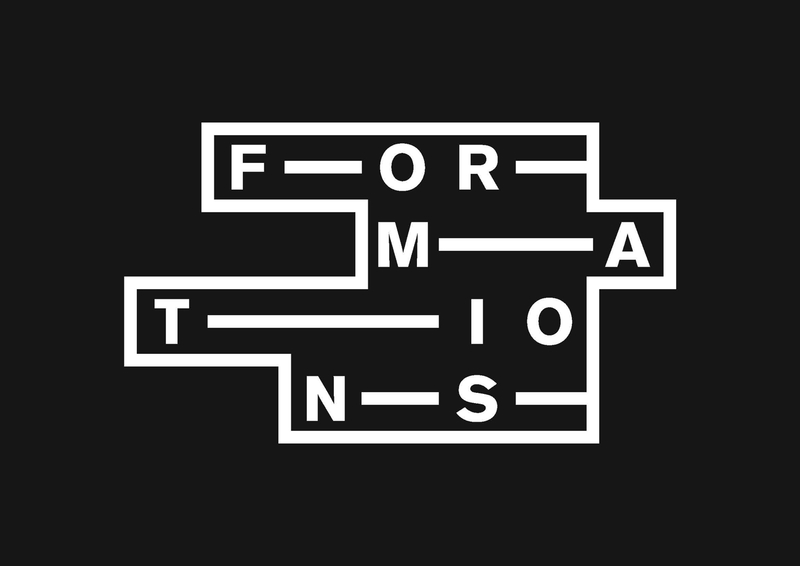 Formations contributes to a growing body of work about the future of the profession as a whole and the type of professionals and practices which it constructs. 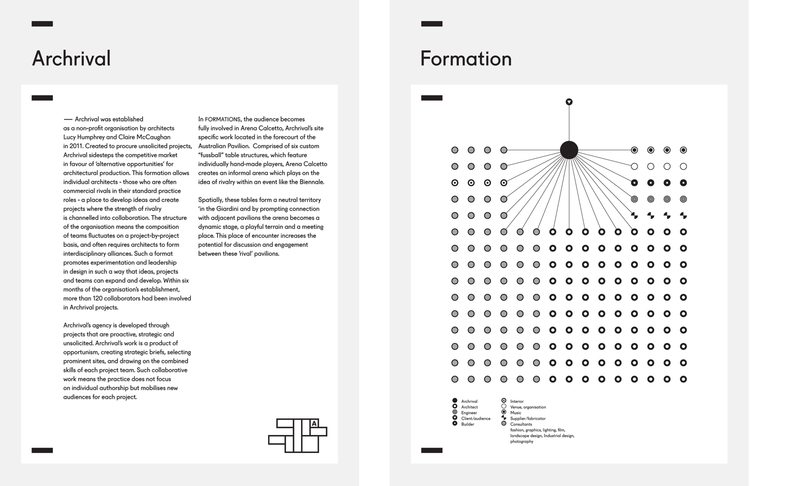 By focusing on practices rather than objects, Formations suggests an alternative to the ways in which we conceive of architecture and the potentials of practices that take place in the name of architecture.